White Gold Plated Hoop Earrings Just $6.99! Down From $99.99! You are here: Home / Great Deals / White Gold Plated Hoop Earrings Just $6.99! Down From $99.99! Tanga has these White Gold Plated Hoop Earrings for just $6.99 (Reg. $99.99)! 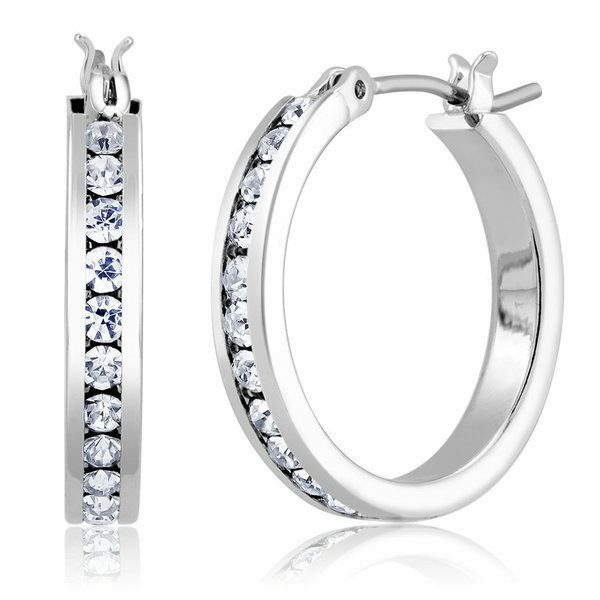 Featuring Crystals and plated in White Gold, these hoop earrings are the perfect choice for any occasion. Simply classic, they provide a touch of elegance to any outfit.